Shirakami-Sanchi covers an area of 130,000 ha and range in height from 200 to 1250 meters, straddling the borders of Aomori and Akita Prefectures in Northern Japan. Of this, about 17,000 ha in the center of the forest is registered as a World Natural Heritage Site. 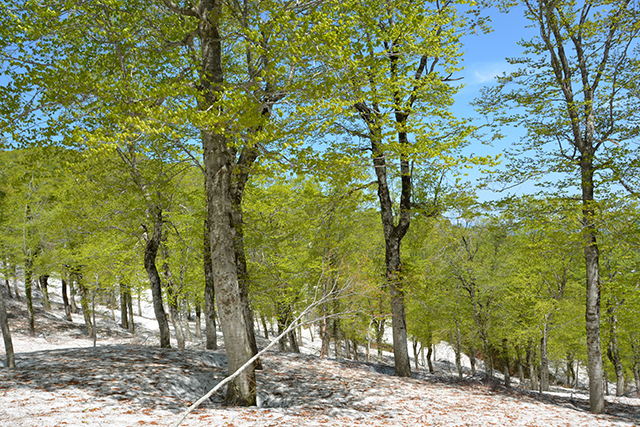 Shirakami-Sanchi is the precious vestige of what once was a much more widely dispersed temperate beech forest stretching across Northern Japan. The ecosystem of this pristine forest nurtures more than 500 varieties of plant and precious species such as the golden eagle and the black woodpecker. And so in recognition of this precious nature, Shirakami-Sanchi was registered alongside Yakushima as the first World Natural Heritage Sites in Japan. 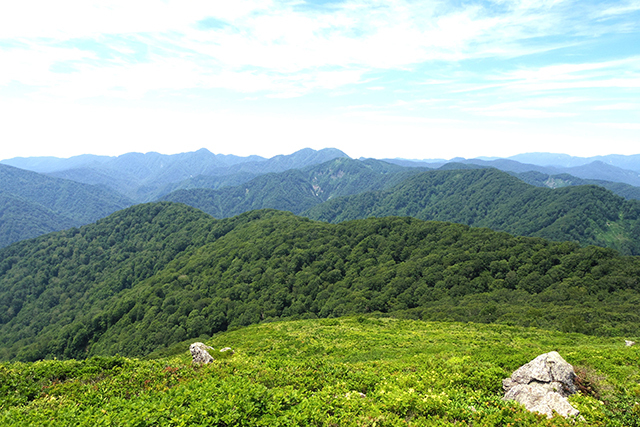 The current Shirakami-Sanchi ecosystem was formed after the last ice age: about 8000 years ago. The vast, rich beech remains as its primitive Japanese nature. The forest where the four seasons are distinctive, bright and which bring lots of natural by-products is said to have nurtured Jomon culture (14,000 – 300 B.C.). The forest, with its ecological abundance and its wonderful sources of water, has only in recent years received wide attention. Shirakami-Sanchi was registered as World Heritage in 1993 so that mankind could share these treasures with future generations. Now especially in a time of dizzying change, we may all well ask how indeed we will manage to do that with a forest that has lived with previous generations for the past 8000 years. Copyright © 2019 Shirakami-Sanchi World Heritage Conservation Center, Fujisatokan Activity Council All rights reserved.